VOORHEESVILLE – Janet Claire (Kelly) Kerr, 66, died peacefully at her home surrounded by her family on July 16, 2011, less than a month after her diagnosis with pancreatic cancer. She was the youngest daughter of the late James M. and M. Isabelle Kelly of Albany. Janet was a woman of faith, who touched the lives of many with her gentle and generous spirit. Janet devoted herself to others. As a sister to six, an aunt to thirty-three nieces and nephews, and as a loving wife and stay-at-home mom, her determined, yet caring presence, brought strength to those she knew. She was a lifelong learner, graduating from Vincentian Institute (1963), Mount Saint Mary’s College (1967) and The College of St. Rose (M.A. Education). She was a lifelong teacher of children – at Sand Lake Elementary, as a tutor, and after raising her own, as a substitute for Voorheesville Elementary School. Janet was also an active parishioner of St. Matthew’s Parish where she was most recently a member of the Adult Faith Formation Committee and Alzheimer’s Care Team. She is survived by her husband William J. Kerr; her children, Cheryl Kerr Delaney of Edgewater, NJ (Daniel) and William B. Kerr of New York, NY. Janet was a loving sister to James Kelly (Patricia) of Albany, Patricia Biggar (late Charles) of Ridgefield, CT, William Kelly (Ann) of Voorheesville, Isabelle “Missy” Carroll (William) of Albany, her twin brother John Kelly (Carolyn) of Enfield, CT, and her late sister Bernadette Grogan. Janet’s family is grateful for the outpouring of support from family, friends and neighbors in addition to the loving care she received by her sisters, sisters-in-law, the nurses of St. Peter’s Hospital and The Community Hospice of Albany County. All those wishing to carry on Janet’s acts of charity are encouraged to make donations in her memory to St. Matthew’s Church, 25 Mountainview St., Voorheesville, NY 12186 or The Community Hospice of Albany County, 445 New Karner Road, Albany, NY 12205. 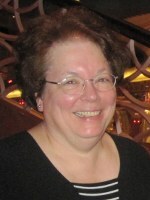 Friends are invited to a Rite of Reception of Janet’s body at St. Matthew’s Church, 25 Mountainview St., Voorheesville at 4:00 PM Thursday July 21, 2011. Immediately following, the family will be receiving guests until 7:30 PM at which time there will be a Vigil of Prayer and Remembrance. Her Funeral Mass will be celebrated at 10:30 AM Friday morning at St. Matthew’s Church and interment will be in St. Agnes Cemetery in Menands. To leave a message of condolence for the family, send a sympathy card, or obtain directions to the church, please visit www.HansFuneralHome.com. Click here for directions to St. Matthew’s Church. Jennifer and I would like to extend our most heartfelt condolences. We can never thank Janet and Bill enough for the enormous support and help you have given us with Jen’s recovery. You bent your ear and provided a shoulder to rest our heads during our turbulent times. Janet was there for Jen right up to the end and only thought of her and even provided encouragement during our visit just two weeks ago. What a wonderful person who was still giving of herself in the last few days that she graced this earth. How strong she was right to her passing to her rightful place with God. A place she earned and deserves. She went with her boots on. We love you Janet, and you too Bill. Thank you so much. Our thoughts and prayers are with you all. While we are very sad to lose our Aunt Janet, we will always remember her positive attitude, bright smile and that special bubbly laugh that was hers alone. She was joyously welcomed into Heaven by all those Kelly’s who have gone before her, and someday (if we are good) we will see her again. Janet was a sweet and decent person who was a delight to be with. We can still hear her innocent giggle and see her smile. She was one of a kind. I’ve been thinking of you all since I received the word that Jane passed away. Jane was like a second mom to many of us back in high school. All were always welcome at the Kerr home. She will truly be missed. I read the note and it made me smile reflecting on the comment of her “innocent giggle”, as I could hear it crystal clear right after I read the note. Please let me know if you need absolutely anything and my thoughts and prayers are with all of you during this time. I was deeply saddened to hear of your loss. Please know you are in my thoughts and prayers. Bill: We are shocked and so very sorry . Have fond memories of always seeing you guys out and about in Salem Hills walking or on bikes. Please take comfort that she is in a good place. Our love and prayers go out to you. Janet was a giver right to the end and an example for all of us. Quiet in some ways with a great spunkiness underneath. Loved to hear her laugh. She has certainly touched our lives and we will remember her always. My thoughts are with you during this difficult time. Like Donna, I too have good memories of feeling so welcomed in the Kerr home, Janet’s genuine kindness and wonderful laugh. I remember sitting at the dining room table for our Brownie troop meetings and spending warm summer days at the pool. I want to thank Janet and Bill for giving me an amazing lifelong friend – Cheryl. Janet will be missed. Our thoughts are with you on the loss of your beloved wife, Janet. My thoughts and prayers are with your family. I was lucky to grow up across the street from such great people! I could always count on a friendly hello and wave from across the street. Our thoughts and prayers are with your entire family at this time. Jane was a lovely person who I remember as always smiling and of course, the “giggle.” I remember her most of being so proud of Cheryl and Billy for their success in life and their happiness. She always spoke so highly of you both. When we would run into Jane and Bill at the grocery store she couldn’t wait to tell us of Cheryl and Billy’s next journey’s in life and their accomplishments. She was a wonderful woman, mother and teacher. Our children were lucky to have her as a substitute teacher and will always remember her quirky comments and giggles! She will be missed by all. Thank you Jane for Cheryl. A true friend and amazing woman who can always put a smile on anyone’s face. Our thoughts and prayers are with you at this difficult time. We are so sorry in the loss of your loved one. We are Carrie Kelly’s parents, (Eric’s in-laws). We are glad to have had the pleasure of meeting Janet at some Kelly family gatherings. We know she will be greatly missed. Extending our sincere sympathy to the Kerr and Kelly family. On behalf of Kay and myself, I would like to extend our sincere condolences. Janet’s death at such a young age must be a devastating blow to her friends and especially to you, her family. My condolences. At times such as this it is hard to accept God’s will be done. I was deeply saddened to learn of your wife’s passing. Bill and Family, my condolences on the loss of your wife and mother. My prayers and thoughts are with you. God Bless. Our thoughts are with you as you deal with this difficult time. Janet was a very special woman who made everyone she came in contact with feel special. I am so saddened by the news of Janet’s passing. She was a woman of great spirit who will be sorely missed. I wish I had the words to describe the wonderful memories I have and will treasure always. I am keeping you in my thoughts and prayers. I am deeply sorry for your loss.